A quote-for-each-day-of-the-year (including Feb.29), made of letters he wrote to other people written in the 1910s or 1920s, with the one exception of letter to Pope Paul VI in 1968. This is rather refreshing, you get advice on many things (including dryness, gaining strength during tough times and how to behave at Mass, for example) but it also gives us a view on Padre Pio's personal struggles on some subjects he gives advice on, so he knows things from personal experience. A book well worth owning, in my opinion. 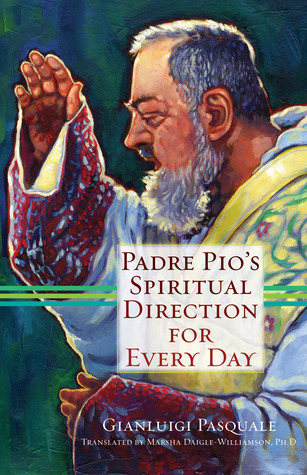 This is a vibrant daily rendering of Padre Pio's wisdom, profound insights and spiritual direction, all at a personal level! Love it. I wish there was an eBook or app!